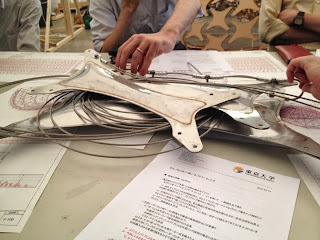 Ana and Colin helped putting together a draft version of Obuchi Lab Project Review Book. 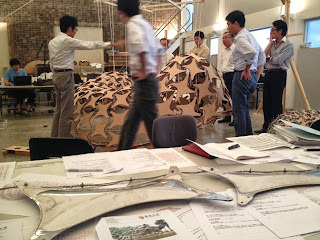 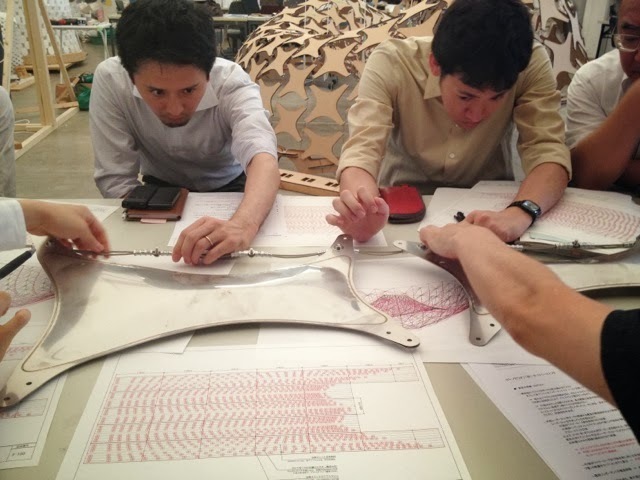 It documents all projects explored at Obuchi Lab during the academic year of 2012/2013. Pavilion Meeting with Obayashi Co.
Back in Tokyo, the pavilion team from Obayashi Co. came to Obuchi Lab for a progress meeting. 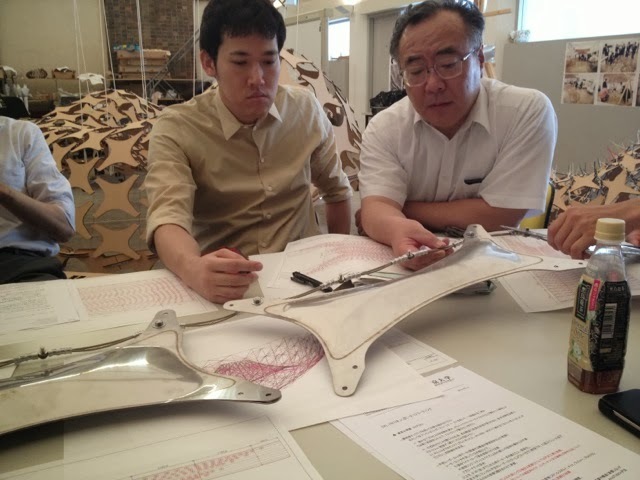 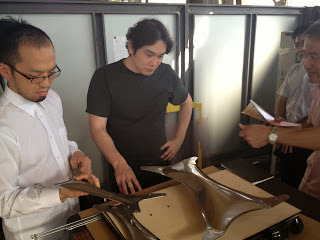 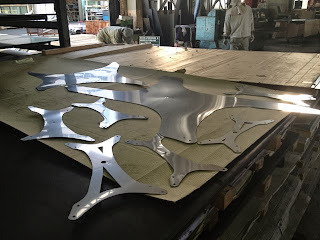 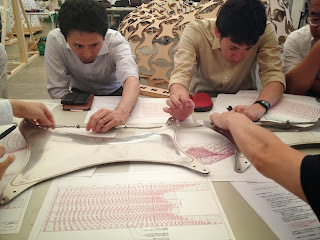 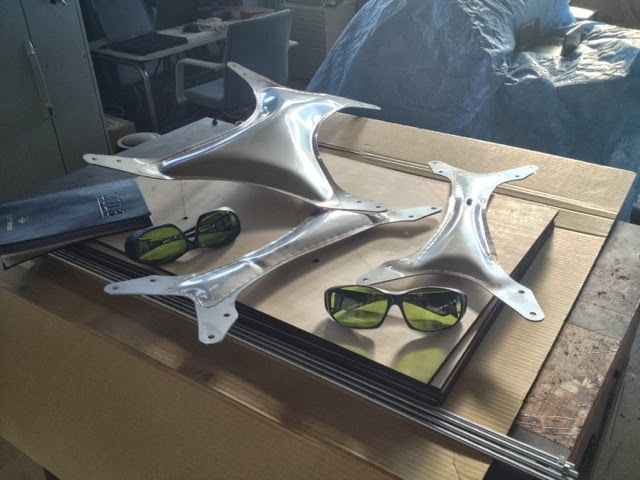 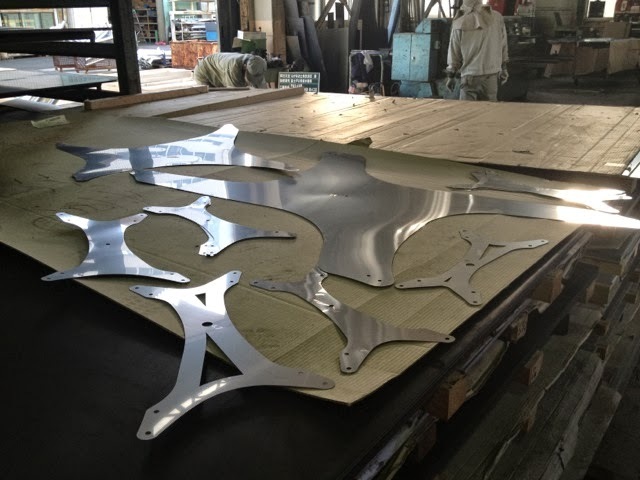 Prof Obuchi and Toshi went to the fabrication shop in Toyohashi near Toyota Motor factory to review the progress on the fabrication process of our pavilion’s components. 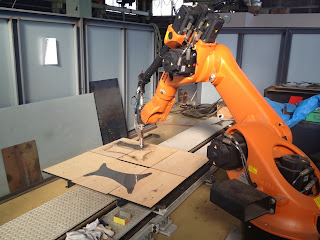 In collaboration with Tsukasa Takenaka of AnS Studio, the components have been developed in order to be fabricated by the Kuka’s robotic arm attached with a laser cutter and welder. 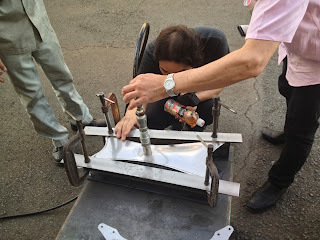 Once welding is done, the component was inflated by a hydraulic pump.